PRIVO is the first and leading global industry expert in children’s online privacy and delegated consent management. PRIVO is a woman-owned business located in Northern Virginia with team members positioned throughout the United States and United Kingdom. Passionate boutique style-company, PRIVO provides white glove service and personalized experience for the best results. PRIVO’s team is composed of industry experts, who have first hand experience with the regulatory challenges facing companies and have developed solutions and best practices to overcome those hurdles. Being in the trenches as a FTC approved COPPA Safe Harbor since 2004, PRIVO has been helping companies not only comply with federal and international regulations, but work with them on integrating transparency and trust into their digital identity strategy, opening up the door for personalized brand engagement with kids and their families. It has been a great pleasure to work with PRIVO. As a children’s learning media company, the privacy of our users and the safety of their data, is our highest priority and PRIVO have time and time again proven to be an excellent partner to work with. We can always count on them for excellent advice and a positive can-do attitude. With the ever increasing demands of producing a high tech and feature rich kids online product comes the growing uncertainty of what you can and can’t do in terms of reaching/acquiring and marketing to kids. PRIVO ensures that no matter the complexity of the product, it is a safe environment for kids and adheres to the complex rules of COPPA. The team work with PRIVO to offer safe options to often complex problems, whilst trying to reach the companies business objectives. Having PRIVO safe harbor seal not only helps us shape the product offering but offers a ‘stamp of approval’ for parents. I know as a parent it is the first thing I look for when my children want to play online. 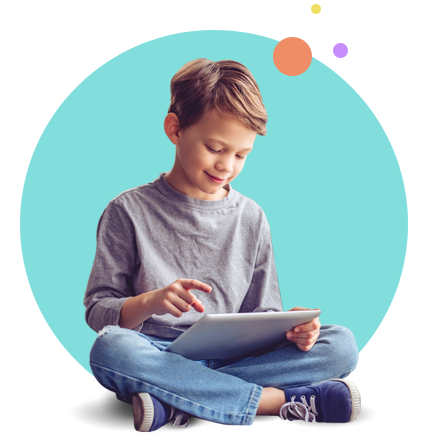 As a digital platform for children, it is critical to us and to our community that we follow the guidelines and rules that are set forth to protect children’s online privacy and security. We rely on the expert advice, guidance and then oversight of PRIVO to make sure we are compliant with the latest rules and regulations. The PRIVO seal is the best way to provide that assurance to Parents and Educators.